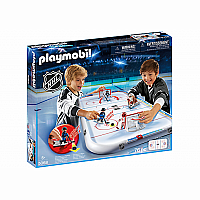 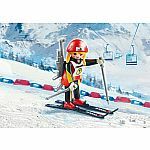 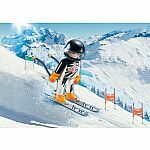 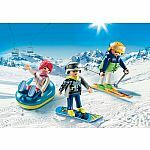 Jump into the action with the Playmobil NHL Hockey Rink! 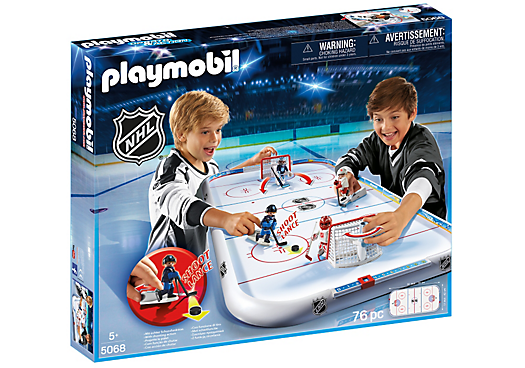 Take control of an Eastern or Western All-Star Player and skate around the rink! 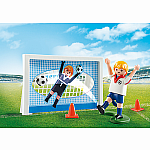 Skate and deke your opponent to get the perfect shot on net. 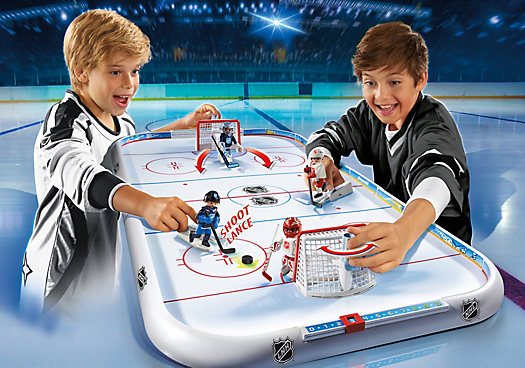 Recreate classic games to win the Stanley Cup. 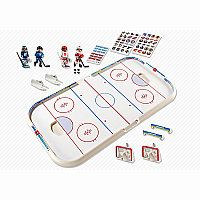 Set comes with 2 Skaters, 2 Goaltenders, 4 Pucks & 2 Nets. 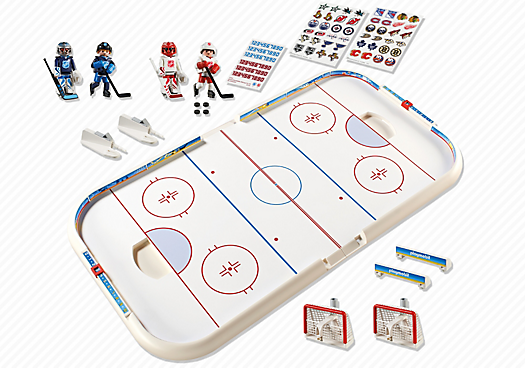 Also includes graphics for the boards as well as logos of the 30 NHL teams. 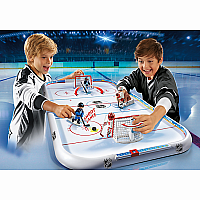 Interactive play includes puck shooting action & puck stopping Goalie action.